If you are like us, web design makes you want to pull your hair out. 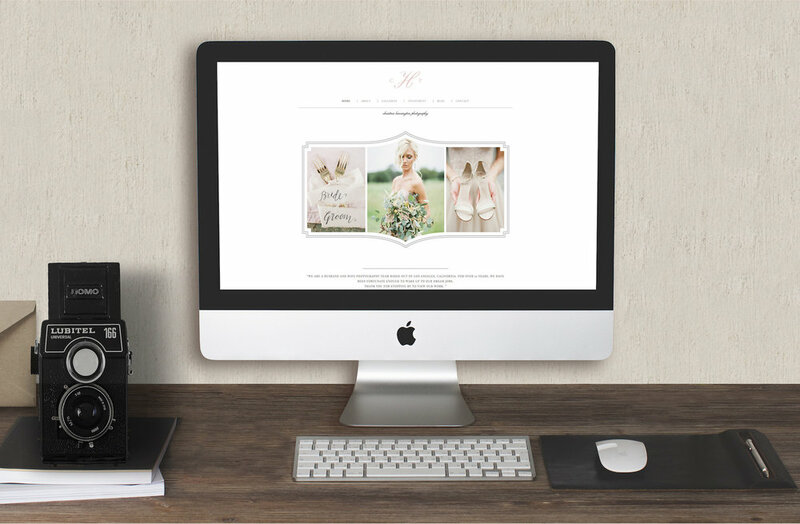 Since starting Bittersweet Design Boutique, photographers have been asking for matching website designs to go along with our branding and marketing materials. Having a one-stop-shop is something we have dreamed out for many years now. We wanted to be able to create a beautiful website that didn't require custom coding, which is incredibly difficult to do! Our Squarespace templates make creating a website a breeze. After testing out every web design platform out there, we have found Squarespace to be the easiest & most affordable option out there. Its simple layouts allow for complete customization. No two sites will ever have to look the same! You can easily add images, video, galleries, maps, and more to your site. Gone are the days of needing to know code in order to build a beautiful website. Squarespace provides a great solution for photographers in search of a platform that is user-friendly and easy to update. This unique platform gives photographers and creatives the ability to build a powerful web presence that looks great on all screen sizes. You don't have to worry about going back and forth with a designer for months on end, as all of the templates can be completed by any non tech-savvy creative within a few hours. We provide thorough video tutorials that walk you through each step of the design process. You will learn how to use Squarespace and gain the set of tools needed to be able to update your site easily and as often as you would like. By creating a cohesive look from web to in-person sales, you will be able to deliver a client experience that goes above and beyond client expectations. The best part is that you can create a gorgeous website within a few hours without ever having to hire a designer (or change out of your yoga pants).